Winexpert's most popular premium wine kits. 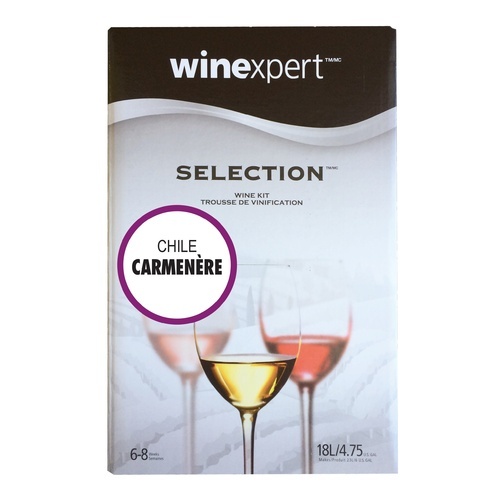 This Winexpert kit provides a country specific grape juice gives this wine exceptional body, flavor, and aroma. Ready to bottle in 4-6 weeks and ideally drunk 3-6 months after bottling. love the full bodied taste of this south american wine!! Made it before, it's delicious! I have found Carmenere to be unique and to my liking.